For most southern African children in the 1970s, the marula fruit gained legendary status after we watched how it intoxicated wild animals in Jamie Uys‘s film, Beautiful People. The scene, remembered by most of us with abandoned delight, caused controversy among zoologists and biologists because “animals flock, fly, or run to ripe marulas to take part in the gorging, leaving few fruits lying around long enough to ferment.” In other words it’s impossible for wild animals to get drunk on marulas. I read this in an article in National Geographic, but thought the following clip from the movie was too priceless not to share. What is fact about the marula tree is the significance it holds among the indigenous people of southern Africa. It is known as the Sacred Tree, the Elephant Tree, and the Marriage Tree, among others, and its nut is used as a Sangoma’s Dice. I’ve read that the Tonga people — the tribe that lives along the banks of the Zambezi River near our farm — call marula the “food of kings,” and celebrate the “Feast of First Fruits” by pouring offerings of fresh juice over the tombs of dead chiefs. The marula tree is bountiful, and should be celebrated. The fruit is sweet, with a hint of mango about it, and is collected by the sackful in these parts to be turned into juice, or eaten fresh. I was reminded of them last year by a follower, Gillian Thornton, who told me a story about how, when she was young, her mother was making marula jelly but left it a little too long bubbling on the stove: “It had become toffee, so she poured it into baking trays. I was the most popular child in school because of my marula toffee and my mom had parents calling her all the following day asking for the marula toffee recipe.” I told Gillian then her story had inspired me, and that when it was time for the Feast of First Fruits I would try and make marula jelly. Marula fruit, collected by villagers living near the Zambezi river. We’re at the end of the marula season now, and I made the jelly using a similar method to the way I made guava jelly. The two fruits resemble each other, both in the way they look and the way they are packed with pectin when fresh. I boiled the marulas first in water, and then let them hang in mutton cloth overnight. The next day I added sugar and lemon juice to the marula liquid, brought it the boil for about an hour, and that was it. It turned into jelly. Just like that. We cut incisions in the marula fruit to release its pectin and flavor. Boiling the marulas before hanging them in mutton cloth. We hung the marulas overnight to release as much of the liquid as possible. Marula jelly: delicious with grilled meats, soft cheeses, or just plain warm toast and butter. Amarula Cream, the internationally-recognized liqueur, is made out of marula fruit. I adapted Yotam Ottolenghi’s Dark Chocolate Mousse with Baileys & Mascarpone Cream for last year’s Christmas lunch, exchanging the Baileys Cream for Amarula Cream. It gave this masterful dessert some African je ne sais quoi and was really delicious. My version of Ottolenghi’s Dark Chocolate Mousse with Amarula Cream. Scrub the marula fruit well, score, and then fill two large heavy-based pots three-quarters full (as illustrated above). Just cover with water and boil until they soften, about 1 hour. Remove from the heat, cool slightly, and transfer the marula fruit into a jelly bag, or as we used, some mutton cloth fashioned into a sack. Set over a large bowl to catch the liquid dripping from the fruit. Leave for a minimum of three hours, or preferably overnight. Sterilize the jelly jars. Wash in warm soapy water, dry, and then place on a baking tray in a hot oven (180/350 degrees) for 10 minutes. Put the lids in a bowl filled with boiling water for the same time, and then dry before using. Put a small saucer into the freezer for testing your jelly when cooked. Strain the marula liquid through a fine-meshed sieve and transfer to a large heavy-based saucepan. Add the sugar and lemon juice and bring to the boil over a medium heat, stirring continuously until the sugar has completely melted. Turn the heat up and continue stirring from time to time until the syrup starts to thicken. If the syrup bubbles up to overflowing, turn down the heat a little. Skim off any white scum during the boiling process. Take the hot jars out of the oven. Cool them slightly, and then ladle the jelly into each jar. Seal, ensuring the lid is capped tightly. Cool to room temperature and store away from sunlight, or in the refrigerator once a jar is opened. The jelly should last for months when refrigerated. Yield: 3 x medium-sized Consol jars, as illustrated below. Wonderful, Annabel and I can almost smell the unique fragrance of the marulas. Your jelly looks delicious – all sumptuous and golden. We had mahobahobas on the farm which had a rougher skin, I think, than the marula. Not sure I’ve spelt that right, but perhaps you know the tree and fruit I’m talking about? The fruit of the mahobahoba was yellowy-orange, sometimes with brown speckles and quite waxy-rough to the touch. They used to ferment on the ground so you could smell them from a way off. Inside, the flesh was a sort of caramel colour if I remember and a very ripe flavour. I never liked them very much but think they were a taste I might have acquired with time. The locals loved them and collected them by the drum full! Hi again, Zsa Zsa … thank you so much for this. I spoke to Chris this morning, who informed me that the mahobohobo is the muzhanje (sp?) fruit! I know them well, and used to eat loads on the farm in Mvurwi. I was thinking the mahobohobo might be the waterberry, which is something completely different (and not nearly as tasty)! Yes, Chris is right! I had forgotten it’s real name – I wonder if the colloquial name by which I remember it is a reference to its prolific fruit production! Fascinating! I am familiar with Amarula, as it’s imported and marketed here in the States by Louisville’s Brown-Forman Corp. When they first handled it a few years back, it was in our news day after day. I don’t know what I expected, but was surprised that the fruit looks so much like new potatoes! Thank you, Michelle. I’ve never thought of the fruit looking like new potatoes until you pointed it out. Ha! You’re right, although they are slightly yellower in color. Amarula is the largest commercial expression of the fruit, but I like the idea of ours coming from trees on and around the farm! Oh Annabel I’d forgotten all about marls.. I’ve never had the jelly. It looks so delicious and what a lovely colour.. Loved the video clip too. Thanks. Sorry my English was corrected…clearly my computer has never heard of marulas ! If only your Marula jelly could be sent over the internet for a smell and a taste. My mouth is watering looking at your lovely jars of jelly. If you have figs make some sweet and sour figs and then fig jelly. Last summer here (northern hemisphere) I made 70 jars of Sweet and Sour figs and 40 jars of jelly. A lot of hard hot work but worth the result and makes a great gift. The sweet and sour figs are best after a few months and even better after a year in the jars. Oh my gosh! I always wondered what Amarula was made from, or if was just a name!!! I wish I could taste everything that you made with it, and this jelly. Great pictures! Thank you for your kind comment, chef mimi. 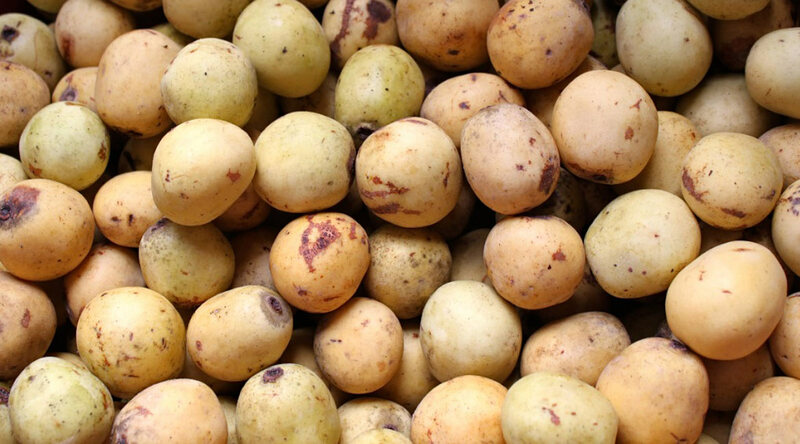 Marulas have a very specific taste and smell … and are such a treat for all of us in these parts! Wonderful. Can I use cheesecloth for the jelly? How long does it keep in the fridge? I love how we connected across such a distance, Annabel. =) What a lovely, easy recipe. Thanks!